"Awash with sunlight! 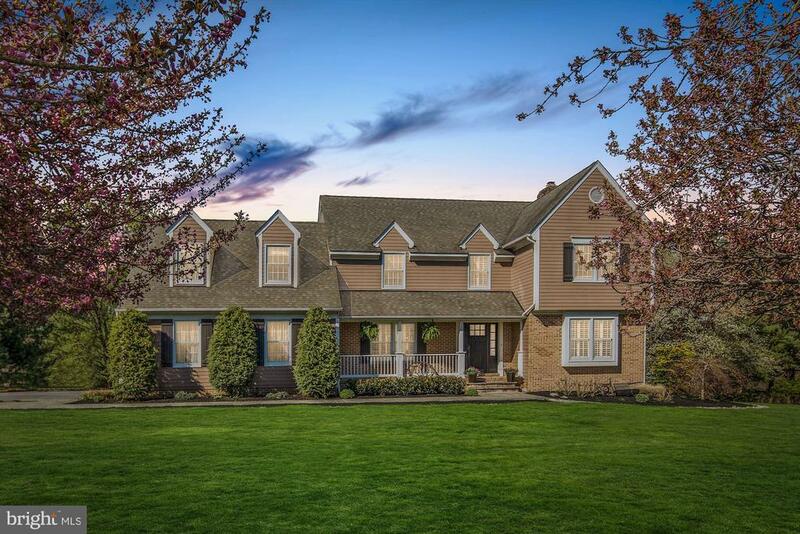 Stunning custom built 6BR, 5/2BA traditional home on 6.67 private acres. Center hall Foyer, formal LR & DR- both w/FP, Study, FamRm w/FP, huge Kit w/FP, Butler's Pantry. Sumptuous MBR suite w/FP, SittRm & SpaBa. 3rd Floor RecRm w/FP, walk-out LL w/great finish potential. Beautiful millwork, custom cabinetry, hardwood floors. Covered Porches, Screened porch, Balcony & Patio." 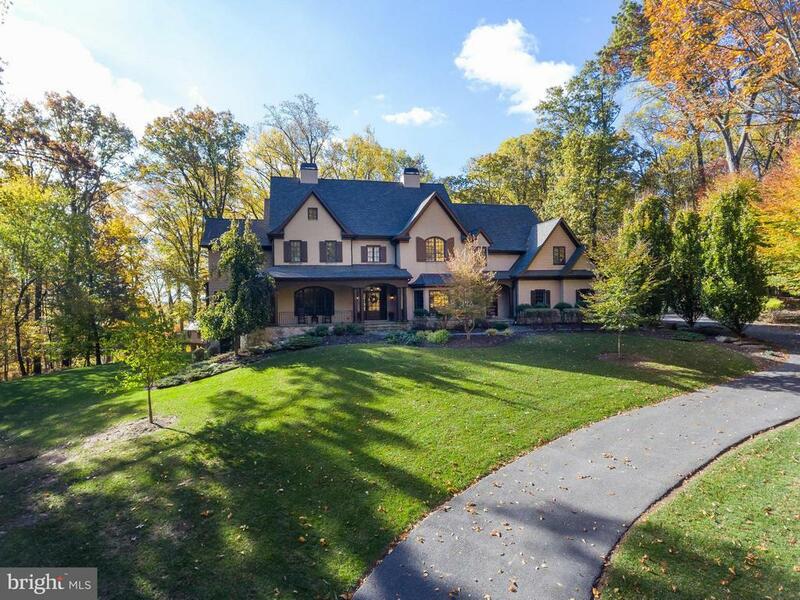 "An estate drive winds through a beautiful wooded grove to a sanctuary-like private hide-away where you will fall in love with this home that is reminiscent of an English Cotswold country manor with an ideal combination of comfort and relaxed elegance. From the detailed stone and brick exterior, to the interior that radiates true craftsmanship with Rumford Butler stone fireplaces, heart pine floors, rich moldings, built-ins and carved mantles, the well-appointed home provides a warmth and grace matched with modern convenience. The custom furniture grade kitchen opens to a cheerful breakfast seating area and bright fireplaced family room that overlooks the delightful private stone patio and covered porch. Entertain in the magnificent cathedral beamed-ceiling living room that flows to a stunning banquet sized dining room with fine raised crown molding and large architectural windows to capture seasonal views. A rich paneled office with cozy fireplace, and a luxurious first floor Master Bedroom with spa-like bath and room size master closet and dressing room are an owner's retreat! The upper level bedrooms have gathering rooms for added comfort and enjoyment. 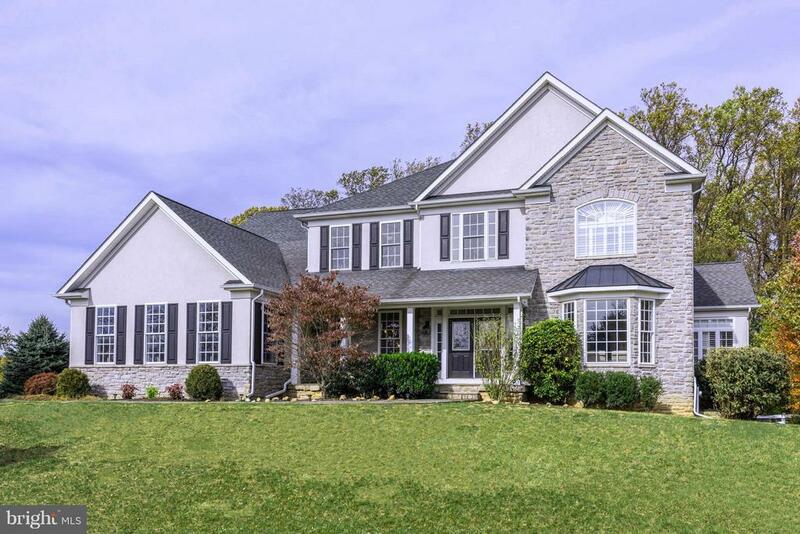 This is a home to be enjoyed for many years, and its convenient location is only three miles to Hunt Valley Town Center shopping, restaurants, and the entrance to Interstate 83." "Just finished! Brand new by award winning builder Alan Klatsky. Ready for immediate occupancy. All the best finished throughout in this grand open floor plan featuring vaulted ceilings, oversized moldings, maintenance free natural stone and Hardi Plank exterior. An absolute must see master suite and kitchen. Don't miss out. Come see this home!" "Quiet elegance & natural light abounds in award winning model built by Stone House Builders sited on a premier lot in Briar Knoll. Chef's kit, oversized pantry, massive mbr , fin LL w/walkout, tremendous deck. 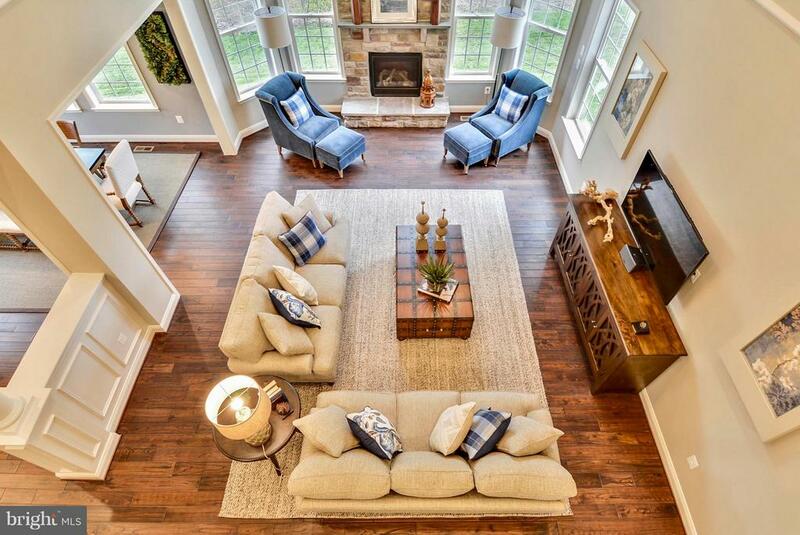 Custom millwork & cabinetry highlight the unmatched craftsmanship this home offers. Drive your golf cart to Hillendale & enjoy the pool or a round of golf. Home completed in 2017. Contact Alternate Agent!!!" 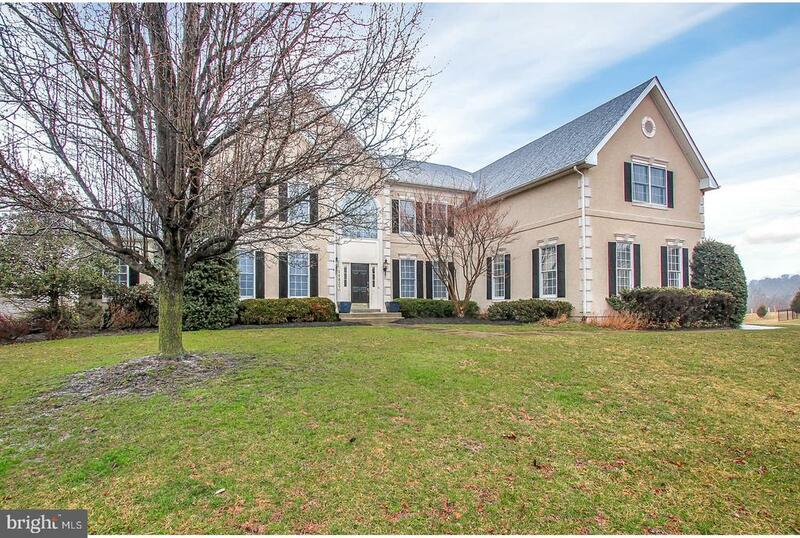 "This Six Bedroom, Four and One Half Bath Brick Colonial features over 10,000 square feet of finished space and is situated on a private 3.92 acre graciously landscaped parcel . Designed for both living and entertaining, offering the rare opportunity to live amidst privacy and tranquility, and a short trip to the amenities and lifestyle of surrounding communities. Designed to accommodate casual everyday living and gracious entertaining, the home was designed around the concepts of leisure, comfort and function. Upon entering the amazing attention to detail is evident in each element of fit and finish. Notable features include a Grand two-story foyer,first floor Master suite, Sauna, Formal Dining Room, 2 Fireplaces, Screened Porch and Sunroom. Entertain and relax by the inviting pool with separate guest house with kitchen and private recording studio. Relax and revel in the splendor of the setting and the sounds of the babbling brook." "Exquisitely executed custom home built with luxurious finishes and thoughtful attention to detail. This warm and sophisticated home is move in ready . 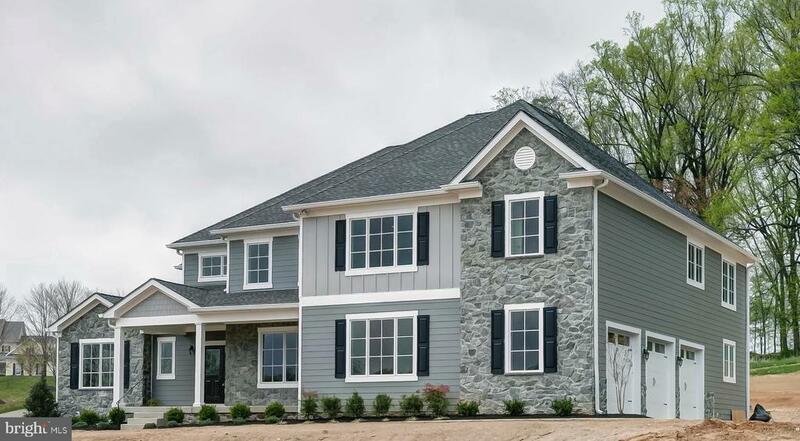 ***Bluestone pathways and a porch front welcome you home. The open concept living areas flow together with ease, yet there are many nooks and crannies for privacy and quiet. The hardwood floors, crown molding, tray, coffered and vaulted ceilings with recessed lighting all add to the ambiance of this home. *** The first floor office has built in shelving and windows to the front and side yard. *** Cozy up to the stone gas fireplace in the family room while the chef's kitchen prepares a feast using the Jennair gas cooktop, dual ovens, and massive granite island that seats 7. ***The breakfast area has table space and an additional bar for three. *** There is a shelved walk in pantry, a planning office with built in desk and a mudroom outfitted with cubbies. *** The first floor also features a complete guest suite, a powder room, and side door to the covered porch. ***The second level has hardwood halls, linen closet, a large laundry room with closets and hanging space, and four large bedrooms. the Master bedroom has windows to the rear,tray ceiling,moldings and a large walk in closet. the Master bath is surrounded in granite, as is the twin vanity. Fluted privacy glass on the shower and a separate WC add to the comforts. ***Two of the bedrooms have an additional alcove nook sitting area, built in bookcases, and a walk in closet. The bright front bedroom features a closet system and is currently being used as a craft room. ***There is a lovely area to lounge upstairs in an additional common area. *** The lower level is completely finished as one open L shaped space with a full bath. There are two massive closet storage rooms, and a double wide walk up to the rear patio. *** Entertain on the stone patio with sitting walls and firepit for those chilly evenings or for s'mores in the summer. This house will not disappoin"
"This is the last one! Gorgeous custom home to be built. Pick out all of your own personalized finishes!" "Build your dream home with Battaglia Homes, an award-winning builder, in this private community conveniently located in the heart of town. Absolutely no compromises! Terrific location on a beautiful lot backing to trees. Bring your own plans, or work with Battaglia Homes to customize your dream home! Photos used as inspiration. Don't miss this rare opportunity to make your vision a reality! Your dream home is waiting..."
"Spectacular Toll Brother ALL Natural Gas Home on Picturesque 1+Acre Lot Backs to Woods. Gourmet Kitchen w/Granite,Maple Cabinets & 2 Story Breakfast Room. Family Room w/HW Floors & Wood Burning Fireplace, 2 Story Foyer. Dual Stairs. Luxurious Master Suite. ALL Bedrooms w/California Closets. 2ND Floor Laundry. Lower Level Rec Room w/Surround Sound, Wet Bar, 6th Bedroom & Full Bath-could be Au Pair/Inlaw Suite. Walk Out to Rear Sanctuary w/Oversized Heated Salt Pool, Patio & Gardens, Irrigation System, Generator!! This True Paradise could be yours!!" 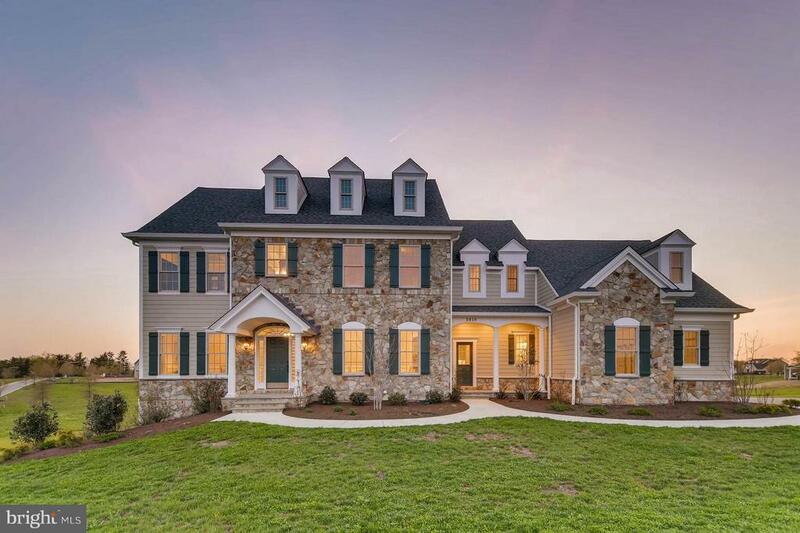 "Perfectly executed recently built stone & hardiplank home by Alan Klatsky's Prestige Development, offers fine finishes, expert craftsmanship, an open, sun-filled floor plan and generous room sizes. Featuring a gourmet Kitchen that will please any chef, large study/office on main level, EnSuite Baths for all upper level BRs, a spacious MSuite w/ luxury marble bath & Dressing Area plus a fully finished walk-out Lower Level offering abundant flex space + 5th BR/Bonus Room! In pristine condition, you'll immediately fall in love with this gorgeous home." "Stunning cul-de-sac setting on 5.12 acres with panoramic vistas of Hunt Valley! 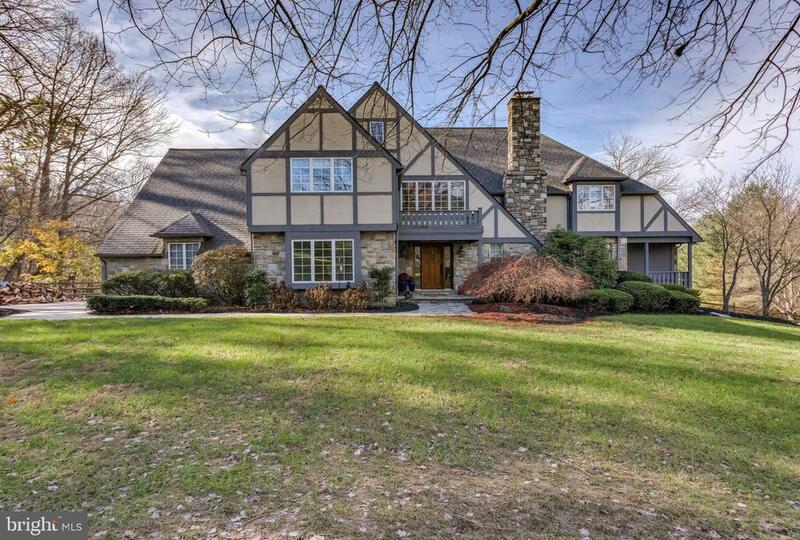 Tudor 6 bedroom, 5 bath luxury home. Formal Living Room with fireplace & attached Study. Dining Room with large bay window flows to gourmet cherry Kitchen with granite, adjoining 2-story Family Room with fireplace. 1st floor Bedroom with Bath. 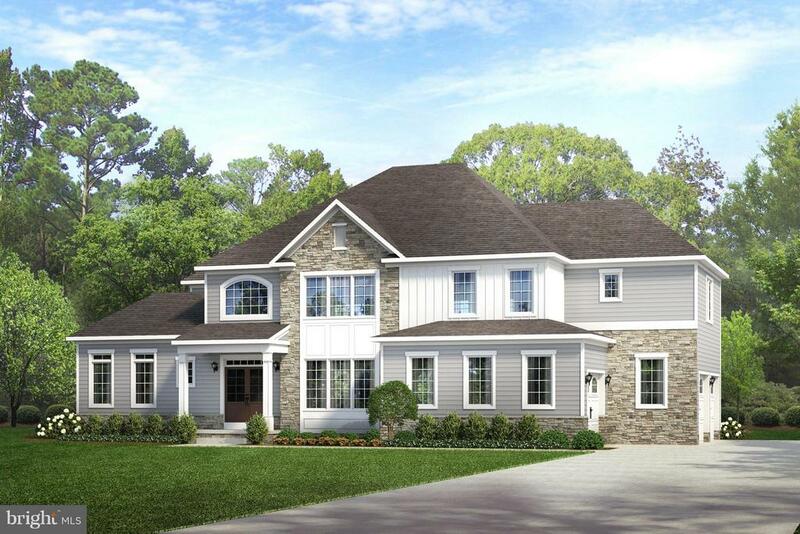 Expansive Master Bedroom & Spa Bath plus 4 additional Bedrooms on 2nd level. Huge Recreation Room with wet bar & full Bath in walk-out Lower Level. Full width elevated rear Deck affords great entertaining options & incredible vistas." "PRICE IMPROVED - Don't miss your chance to own this Stylish & Spacious Porch Front Colonial w/approx. total of 6,925 fin sf (tax record incorrect - 4,925 above grade & approx. 2,000 fin sf on LL), on 1.4+ acres w/Fenced Rear Yard. Enjoy all the beautiful updates throughout - 3 Finished levels featuring a 2 Story Entry w/Marble Floors, Extensive Moldings, Chef's Kitchen w/Granite, SS Appls, & Breakfast Bar, Coffered Ceilings, 2 Gas Fireplaces, Stunning Master Suite w/Sitting/Exercise/Office, His/Her Walk in Closets, along w/Spa Bath w/Separate Jacuzzi Tub and Shower. All Bedrooms on Upper Lvl have En Suite Baths. 5th Bedroom is in the Lower Level w/attached Full Bath - perfect for guests, in-law or au pair. Freshly painted Lower Level has a spectacular Home Theatre/Media Room, a Built-in Granite Bar Area, Game Area, Exercise Room & 2 Family room areas plus storage w/a walk out to the lower rear patio. This is a fabulous home with all the bells and whistles, as well as a great location in the neighborhood.This could be your next home!! Call for your appointment today!" "Perfect entertainers all brick colonial featuring large rooms, private lot and natural surroundings. Home features a first floor a bright Great Room, Party Room with great views and access to the outdoors and a large gym/workout area in the fully finished basement. House features granite counters, wood floors, gas fireplace, trex deck, tiled bathrooms, large master bedroom with walk-in closet, sitting area and master bath!" "Every element of this timeless 5,700 square foot home is infused with the finest materials, finishes and custom amenities. Artfully designed by Toll Brothers, the residence is ideally sited on a premium one-acre lot at the end of a private cul-de-sac bordered by conservation in the sought-after Hunt Valley Estates community. Upon entering the two-story foyer with grand circular staircase, the amazing attention to detail is readily evident. The main level is outfitted with rich hardwood floors, generous room sizes featuring over nine-foot ceilings, architectural windows and doors that illuminate the interior, fine built-ins and moldings. The gourmet kitchen with top of the line appliances, granite counters, ample cabinets, walk-in pantry and breakfast area open to the sun room, flows to the bright, spacious family room with two-story stacked stone fireplace with slate hearth and elephant mahogany wood mantle. There is a welcoming flow to the well-proportioned spaces from the gracious living room, to the conservatory with abundant windows on three sides providing serene views, to the large dining room ideal for entertaining. The upper level hosts the magnificent double door entry master retreat with his and her closets with custom built-ins, and spa-like master garden bathroom. One additional en-suite bedroom, and two generously sized bedrooms with a Jack and Jill bathroom complete this level of the home. The light-filled walk out lower level of more than 2,700 square feet features a recreation room, fifth bedroom and full bath, game room and two utility rooms. Designed around the concepts of graceful leisure, sophisticated comfort and function, the remarkable interior living areas converge with picturesque grounds and tranquil outdoor living spaces. The expansive rear Trex deck with stairs leading to the landscaped yard, is perfect for relaxing and gathering. Further adding to the appeal of the home is the new roof, three-bay garage enhanced with storage sh"
"The Gathering Home. 12896 Eagles View Road is the place to come together to eat, to talk, to relax. The Great Room off the Gourmet Kitchen exudes warmth of textures and tones whispering, Come in and stay a while. Any foodie will appreciate the amenities conveniently designed for ease of meal preparations. The Kitchen offers 6 Burner Wolf Grill/Griddle Stove, stand alone KitchenAid Icemaker, Full Size and Fisher & Paykel Dishwasher drawer, Sub-Zero Full Size Freezer along side Full Refrigerator and Prep Sink. Host dinners in the formal Dining Room with propane fireplace or snuggle in the intimate Family Room. The First Floor Master Bedroom Addition offers one level living or the perfect place to welcome guests should you prefer the Upper Level Master. Nice weather? Throw open the doors and unwind with a little putt putt or read to the sounds of the pool waterfall. Schedule a private showing to enjoy this beautiful space. Eagles Nest membership information available upon request if desired." 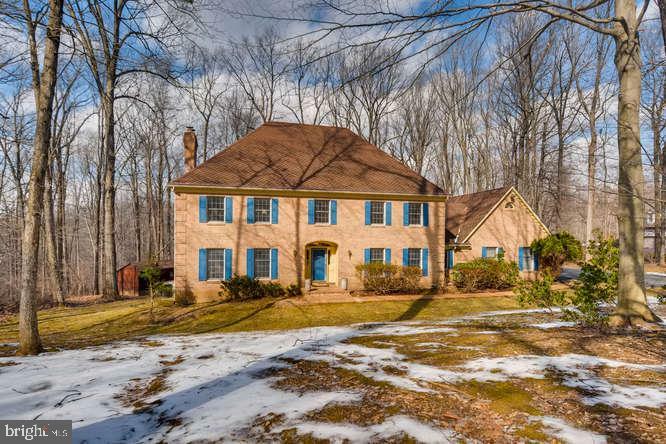 "Beautiful Custom Built Home on Private 5.5 acre wooded lot, 1st Floor Master BR w/Fireplace and large sitting room, 5 additional BR's, 5 Full Baths, 2 Half Baths, Large eat in Kitchen, New & refinished Hardwood Floors in Bedrooms & Dining Room . Formal LR w/gas Fireplace, Family Room w/Fireplace, Large Screened in Porch and Deck overlooking lovely Outdoor Pool, Au-Pair Suite in LL w/Full 2nd Kitchen. Several Walk-in Closets & abundance of Storage. ICF (Insulated Concrete Form) Construction in Basement & 1st Floor, 3 Car Garage, private drive off cul-de-sac, backs to Carroll Run and near NCR trail. 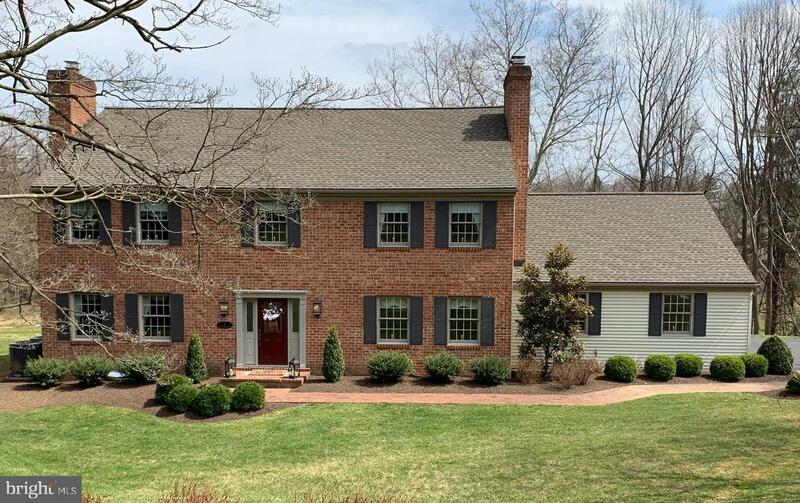 Hereford School District.Seller offering Home Warranty"
"Welcome home! The moment you walk into this beautiful light filled custom home with no detail overlooked, you will feel at home! A tucked away shared Driveway leads you to this enclave of beautiful homes. From the two story Entrance Foyer to the gracious Office/Living Room that has both a Stone Gas Fireplace and a welcoming Front Porch, you will see that this home has it all.Built for today~s living, the Gourmet Kitchen has updated stainless appliances, a tasteful 8 foot Butcher Block Center Island, an extra Wall Oven, numerous 42~ Cabinets and Built-ins, unique ceramic stove backsplash, lovely custom Range Hood, a Walk-in Pantry and a large semi-circular Breakfast area bump-out surrounded by windows with a door leading to the Deck. The Kitchen also has a convenient Laundry Room/ Mud Room with Built-in Cabinets that is located right off the interior Garage entrance.The Spectacular 2-story Great Room is also off of the Kitchen and has a coffered ceiling, palladium windows and another direct access to the Backyard which has a Deck, Patio, green space to run around and mature woods. The Great Room has a 2nd Story Overlook, gracious chandelier and built-in bookshelves surrounding another Stone Gas Fireplace. A separate Formal Dining Room is conveniently located as well.An extra Den completes the First Floor and could be used as a Playroom , extra Office or first floor Guest room as it is right next to a Full Bath and has a separate entrance to the back deck. The First Floor has ~random-width~ wood floors, custom woodwork and oversized windows with wood mullions throughout.The Second Floor boasts a unique enormous Master Bedroom beyond expectations with a large semi-circular, window filled Sitting area, Stone Gas Fireplace, a Master Closet that is truly its own room, and an elegant Master Bath with a separate Shower, oversized Tub, private Toilet area, and 2 Large His & Hers vanities with separate sinks. There is also additional cabinetry in the Master Bath. 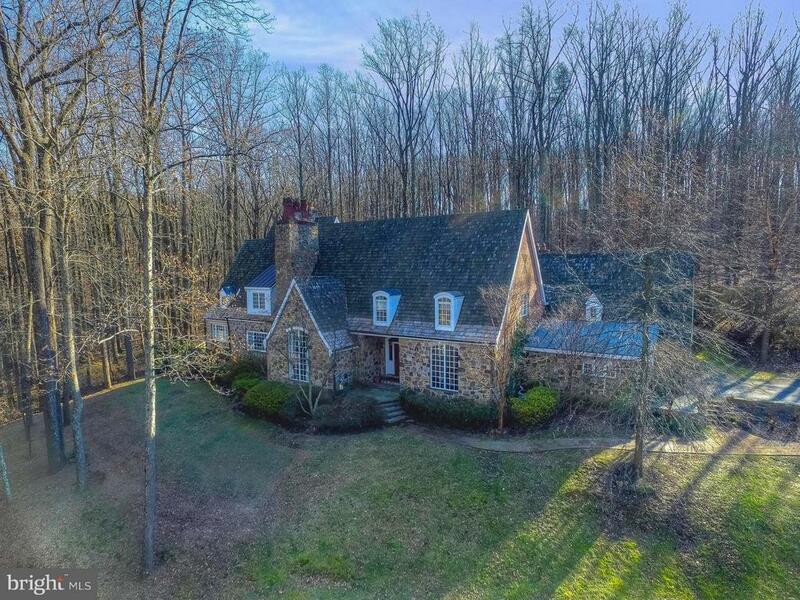 Three additi"
"Private Retreat overlooking scenic wooded escape!....Must see this Beautiful home nestled on sere 9 + acre lot bordering the Gunpowder River. Pride of Ownership as Sellers have made over 300K in recent improvements (2015-2018)~. Gourmet DREAM Kitchen - over 90K with Custom Cabinetry, marble counters- Open Island floorplan w/Picture window!....Opens to 2 level deck and Family Room.....Finished Lower Level is ideal in law/au pair suite.....MBD Suite w/Fireplace....walk-in closet- NEW MASTER BA!...Sunroom & Outdoor Entertaining w/Patio and private wooded area for firepit.....must see the natural surroundings to appreciate this property!.....5/6BDS....4.5BA ALL UPDATED!....NEW Roof, New HVAC, Well system, landscaping, driveway 7 countless improvements for the New Homeowner to Enjoy!.....Available to see anytime - Welcome Home!" "GREAT FLOW FROM WARM & WELCOMING FOYER TO ITS SOARING CEILINGS & DUAL STAIRWAYS TO THE OPEN LIVING & ENTERTAINING AREAS; SUPER 1.7 ACRES OF LEVEL LAND BORDERS CONSERVED FARMLAND; SCENIC TREX DECK & 3 CAR SIDE ATTACHED GARAGE; TRANQUIL COURT OF 5 CUSTOM HOMES & MORE!" "Beautifully blended between traditional and rustic styles, this custom home offers open concept living at its finest. The main level features gorgeous hardwood floors throughout, plantation shutters, reclaimed wood accent walls and barn doors, exposed beams, cathedral ceiling, and two gas fireplaces with stacked stone. The kitchen boasts a large two-tiered island with breakfast bar, prep sink, pendant lighting, stainless steel appliances, beverage and wine coolers, soft close glazed display cabinetry, and granite counters. Let the master suite entice you with plush carpet, massive walk-in closet, double vanity, and a jetted soaking tub. Spend time in the lower level media, exercise, and game rooms that allow for watching the big game and cheering your team to victory. An entertainer's paradise with an amazing outdoor built-in grill and patio with a fireplace allow for roasting marshmallows and hosting the best gatherings. Updates 2011-2019: Carpet, HVAC, Water Heater, Great Room Addition and Expansion of Main Living Floor, Asphalt Shingle On Rear Addition And Dormers, Patio And Built-In Grill/Fireplace, Plantation Shutters, Finished Basement, Siding, Garage Floor And California Closet Organizers, Window Upgraded. 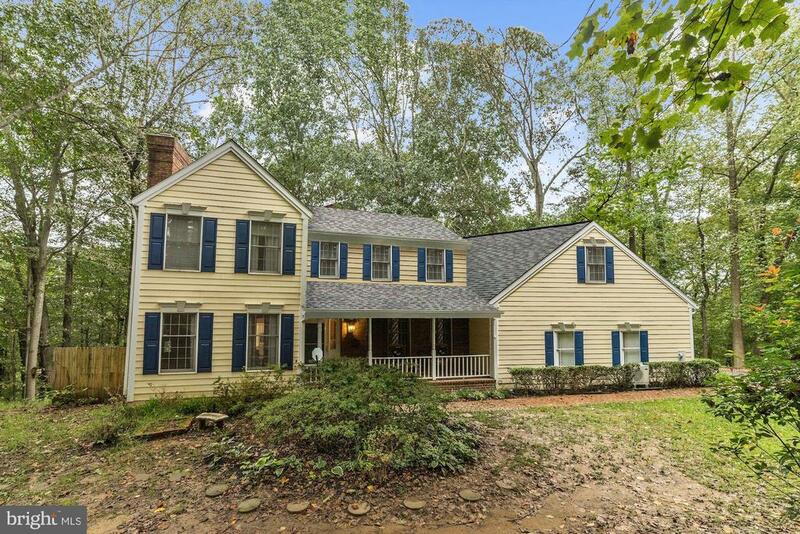 Close proximity to Manor Road, MD-145, and Loch Raven Reservoir." "NEW PRICE!!! 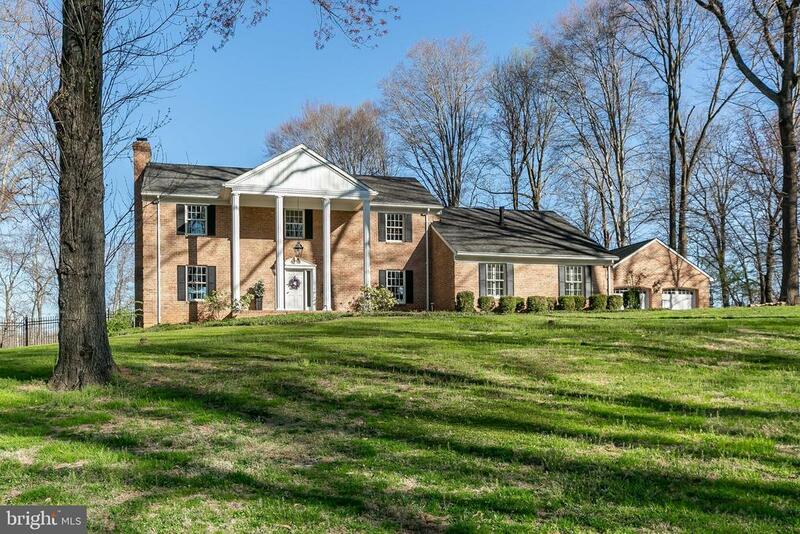 Impressive Colonial in The Highlands of Hunt Valley... Idyllic Setting Overlooking the 6th hole of the Hunt Valley Country Club. Traditional Floor Plan with natural light streaming into the spacious Living & Dining Room, Eat-in Kitchen & Family room - Living Room has crown molding & wb fireplace - Dining room is open to the Living room & Kitchen with french doors leading out to the screen porch - The Kitchen has handsome cabinetry & a Bi-level Center Island with cook top, Granite Counters, Wet Bar & Breakfast Nook - Family Room has a wood burning fireplace & built-in bookcase - Remodeled Powder Room & Mud Room with built-in bench offering plenty of storage & access to the 2 car garage - Upstairs is the Master Suite with wb fireplace, walk-in closet & deluxe bath with jacuzzi tub, shower & heated floors - 3 additional bedrooms & hall bath plus laundry station - Lower Level has Everything You Need For Entertaining with a 2nd Kitchen, spacious Rec Room, full bath & 5th bedroom or playroom with WIC - Newer Roof, Trane Heat Pumps, Water Heater & More! - This home also boasts a wonderful indoor - outdoor flow with access from the Kitchen, Dining & Family room leading out to the patio, screen porch, terraced yard and newly designed fire pit - Lush & hardy landscaping surrounds the home." "NESTLED IN THE HEART OF POPULAR & CONVENIENT PHOENIX, THIS PRISTINE & GENEROUS TRANSITIONAL HOME OFFERS THE SUPERB FEATURES YOU WILL LOVE! 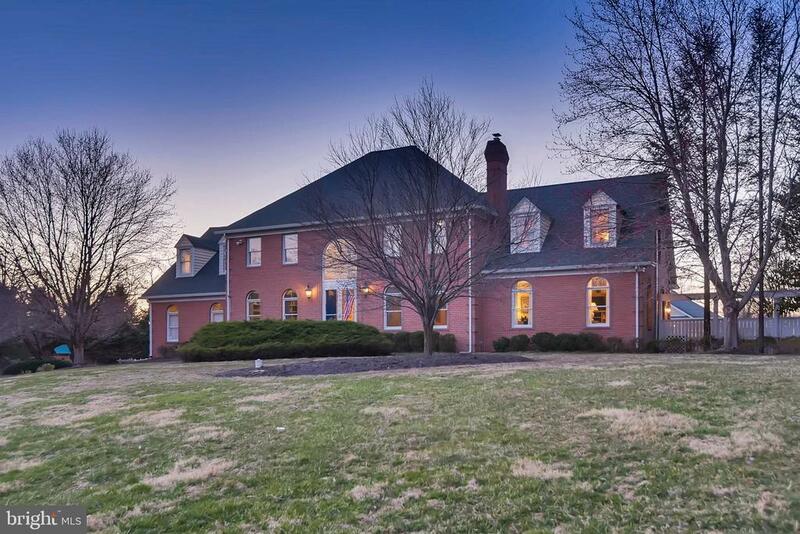 PRIVATE COURT LOCATION; SUNNY OPEN DESIGN W/ LOFTY CEILINGS; BRAZILIAN WALNUT DECK OVERLOOKING FABULOUS LEVEL REAR YARD; GOURMET KITCHEN W/ MORNING ROOM, GRANITE & STAINLESS; KOHLER BACK UP GENERATOR! WONDERFUL HOME FOR ENTERTAINING & COMFORTABLE LIVING! A GEM!" "To Be Built by Caruso Homes! 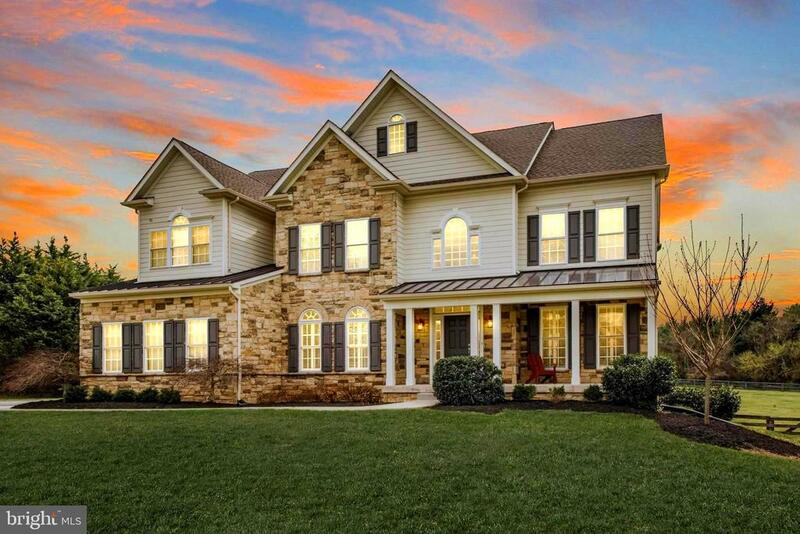 Stunning Home with two story family room open to gourmet kitchen. Two story foyer. Spa-like California Bath in the owners suite with walk through shower. First Floor Library. Four bedrooms, two full baths upstairs. Three car garage. Walk out basement. Dual zone heating. This home will be built in an area of newer homes in sought after Summer Hill. Beautiful lot overlooking a large farm. Walking distance to the community pool. Jacksonville school district." "Enjoy luxury living in this rich 4 bedroom, 5 bath country estate located on 4.5 acres in prestigious Stockton Woods. This stately home impresses at every turn: gourmet kitchen with solid wood cabinetry, double ovens, huge island and large eat in area with dual opening Pella Architectural series french doors that leading to a lovely outdoor deck; the perfect place to enjoy your morning coffee while taking in the beautiful natural vistas. Enjoy formal living and dining rooms, large family room with a cozy wood burning fireplace, beautifully finished lower level club room with french doors leading to the park like setting beyond. Upstairs the master suite is your private oasis. The spa like bathroom offers both a large jetted soaking tub, separate shower, and dual vanity. Also features a private balcony. 3 additional bedrooms and 2 more full baths complete the upper floor. Immaculately maintained, this home offers a recently update HVAC unit, 50 year architectural roof, repaved driveway, appliance protection plan, new paint, new lighting, beautiful wood molding, pristine wood floors, huge 3 car garage, and timeless architectural details throughout. This home is super energy efficient, all appliances are energy star and the utilities bills are extremely low. The location is perfect for those looking to get away, and still be close to everything. School zones are: Jacksonville Elementary, Hereford Middle and Hereford High. Welcome Home."